If you were to gather 100 marketers in one room and ask them to define “contextual advertising,” you’d likely get 100 different responses. Things get even murkier when you start talking about digital placements. There are so many digital platforms out there and a lot of channels fit under the umbrella of contextual placements. So when I get asked this question, I usually list off the top three most effective contextual placements: email marketing, sponsored content and native ads. I also reiterate the importance of knowing where these placements fit in your funnel. Certain publishers are more effective at driving particular actions than others, so it’s important to know the ins and outs of each one before doubling down on a particular platform. From sponsored newsletters to dedicated emails, there are so many ways to leverage email newsletters to reach your ideal audience. They’re particularly useful for top-funnel awareness campaigns—if you find the right newsletter publisher, you can reach huge amounts of your target audience in one send without having to worry about ad blockers or distracting content. You can also track opens and clicks, and drive conversions by directing users to an exclusive offer or landing page. With any kind of awareness marketing, you need to maintain a delicate mix of reach and quality to run a successful campaign. In other words, size matters. An ideal placement gets you in front of the largest possible portion of your target audience. If the newsletter audience is small, don’t expect massive scale. You might even want to take this one step further and run several promotions in the same newsletter to reach the same audience with evolved messaging over time. If you want to reach potential customers at the top of your funnel and strike a balance between reach and audience, sponsored content is a great tool. These placements can inform and educate your audience, and also borrow the attention of engaged and curious audiences from industry-leading publishers. One of the biggest benefits of sponsored content is that it shows up when a prospect is already looking to read or watch content, so you have a more captive audience. Plus, similar to email marketing, there are no concerns about ad blockers – which can be a hurdle for advertisers looking to reach technical users. They also offer a lot of flexibility content-wise. For instance, they can be more directly promotional to capture leads who are already aware of your brand and closer to the interest stage, or more educational to position your brand as a trusted industry resource. This post from Wix on CSS-Tricks is a fantastic example of sponsored content done right. By outlining how developers can use Wix to save on “technical debt,” they’re raising product awareness among a target audience and reaching them in the right place with a relevant message. These types of ads are great if you’re looking to create product demand, find new customers in target industries, increase product awareness, and drive lead-gen actions (e.g. sign-ups). While all of these are top-of-funnel goals, ad networks can also be useful to reach people at the research stage, i.e. the ones who likely already know about you or are looking to purchase a product or service like yours. For example, Adobe uses the Carbon Ads design network to generate interest in its Creative Cloud by promoting a lesser-known feature. Audiences on this ad network are already familiar with Creative Cloud, so this advertisement works as an educational tool for the larger product. What’s great about native ad campaigns is that they can be scaled to fit your needs if you run them on a network, and they can be launched quickly compared to other placement types. They’re also useful for targeting hard-to-reach audiences and not disruptive, which is good if you’re looking to reach audiences that are sensitive to UX. All of these channels are great for top funnel awareness, but paid marketing plays a role in each stage of your funnel or flywheel. The key to success is using the right mix of platforms for your company. 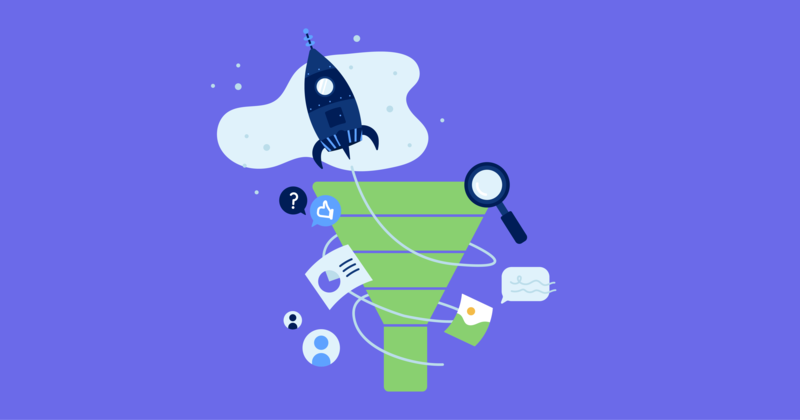 As long as you do your research and choose publishers that are the best fit for your audience and your brand, you’ll be on track to creating a full-funnel advertising strategy that supports both short-term and long-term growth. Sales asking for more leads without sacrificing quality? 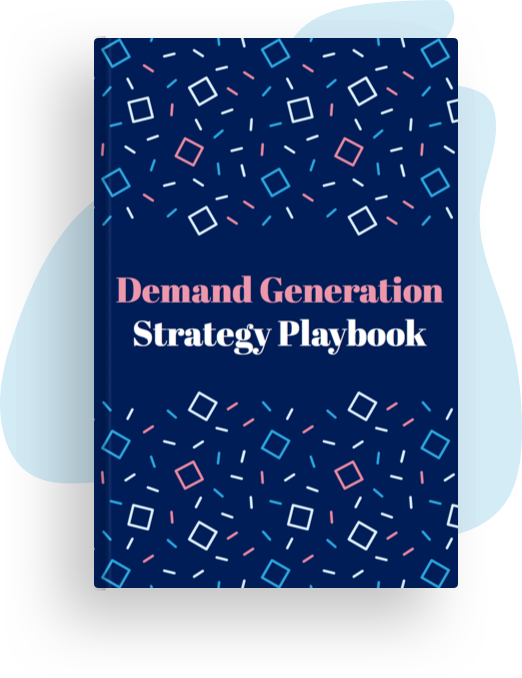 It's the eternal struggle, and failing to pull it off puts growth in jeopardy.That's why we wrote an in-depth playbook on creating effective demand generation strategies. Get ready to be a growth hero.